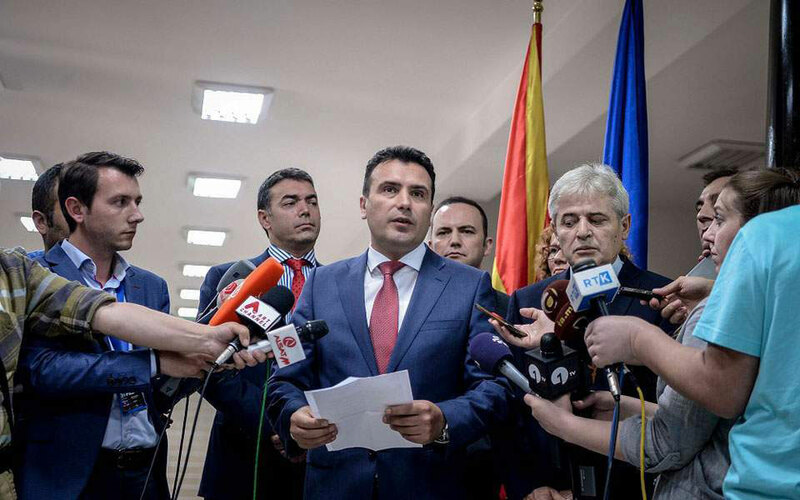 No constitutional change will be needed for a solution with Greece on the name of the Republic of Macedonia, the country's Prime Minister Zoran Zaev reportedly said on Monday, and expressed support for the name "Republic of Ilinden Macedonia". Speaking to journalists, Zaev said the name does not jeopardize the identity of Macedonia, and at the same time provides Greece with a compound name with a time qualifier. "I do not think there is a political party, an intellectual, a normal citizen who is insulted by this proposal. I believe we should continue," he was quoted as saying by Meta.mk news agency. "First, let’s look at this solution to the end and I appeal to everyone in Greece to consider it, because it’s worth it," he added. In the same spirit, Macedonia's Foreign Minister Nikola Dimitrov said the specific name proposal is "adequate" for both countries to agree on. “We are ready to defend this, and to persuade our people to stand behind this solution because we believe in it,” he reportedly told Macedonia's 1TV late on Sunday, according to Balkan Insight.